Daily, now through October 24th, 11:00am-9:00 p.m. 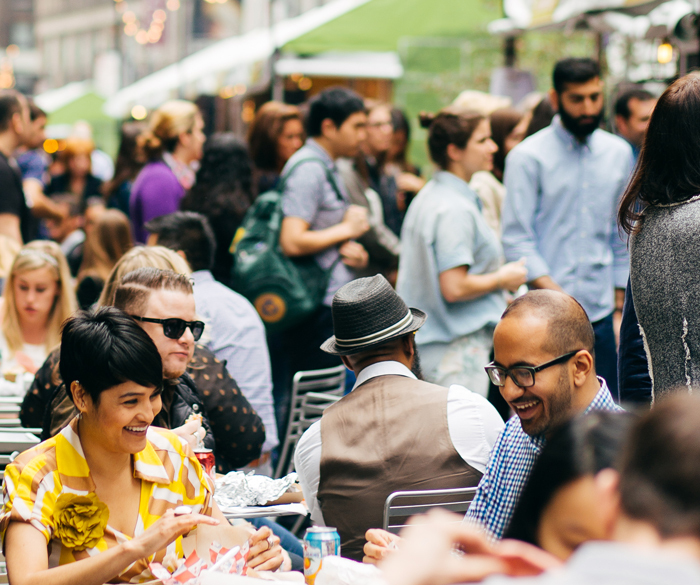 Sink your teeth into 23 different unique food concepts this fall at this delicious pop-up seasonal market that transforms Broadway into an outdoor eatery! 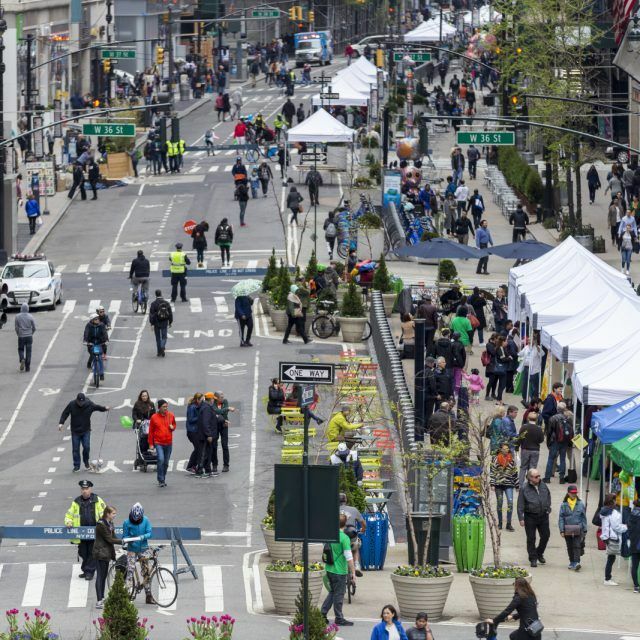 Vendors include TopArepa, Ponti Rossi, Le Souk, Lizzmonade, Rice and Chopsticks, Yankee Doodle Dandy’s, Hill Country Barbecue Market, Red Hook Lobster Pound, La Sonrisa Empanadas, Domo Taco, Iron Burger, Enfes Turkish Food, Fire Belly Korean BBQ, Thai Toon, Home Frite, and oh-so-many more—phew! Thursday, September 24th, 6:00-9:00 p.m. 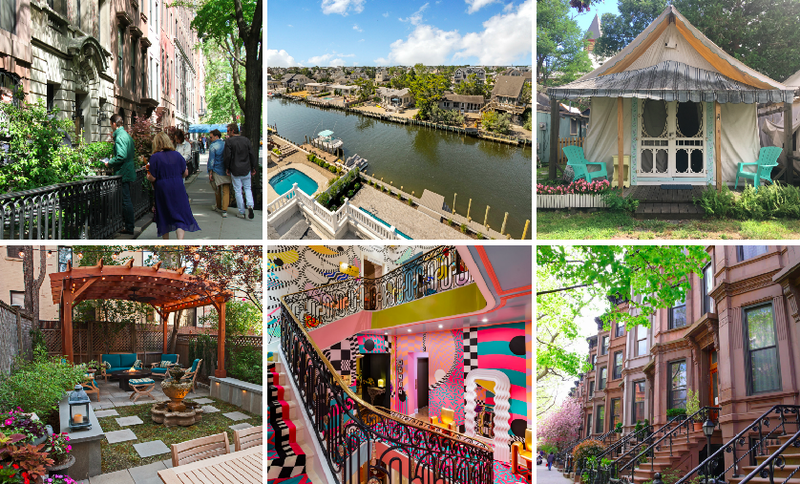 Artist Carlos Mare is putting on his curatorial hat this year at Harlem’s Hi-ARTS, kicking off the non-profit’s season with the photography of Joseph Rodriguez. 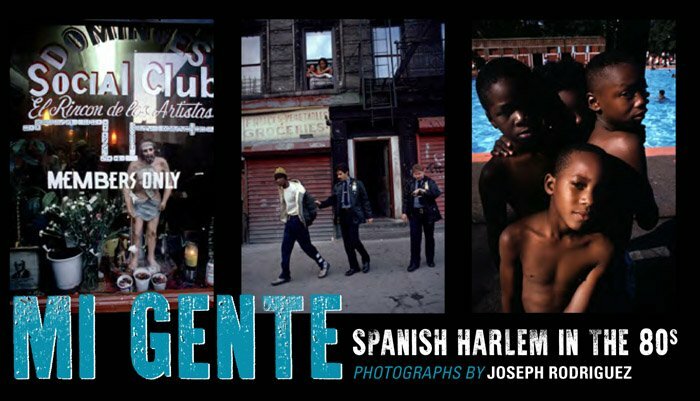 Rodriguez celebrates the legacy of Harlem, with photos of the Spanish culture that thrived in the 1980s. 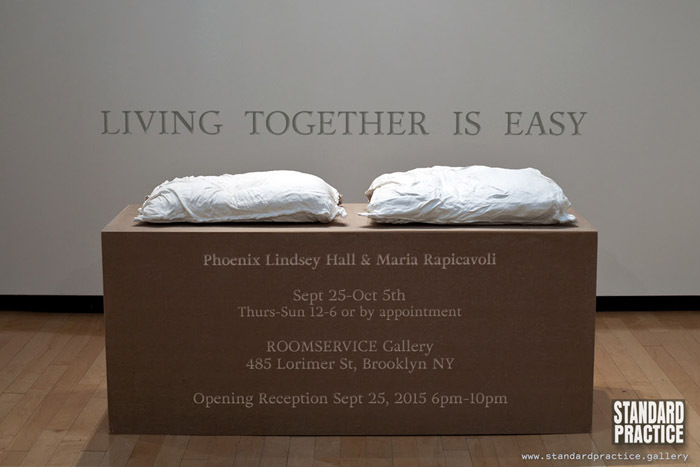 Friday, September 25, 6:00-10:00 p.m.
Roving curatorial power house Standard Practice opens yet another show–this time featuring the work of Phoenix Lindsay Hall and Maria Rapicavoli. The theme of tonight’s show is particularly heavy, each artist has created works inspired by atrocities in the media, but translated with deep tenderness and empathy. Friday, September 25, 6:00-9:00 p.m., September 26, 12:00-5:00 p.m.
Take a free ferry ride over to the majestic Brooklyn Army Terminal and check out a peek inside the world of 85 working artists, as they open their doors to the public. Look at working processes, work progress, and first glimpses of new work. Be sure to visit the studio of photographer Barry Rosenthal—a 6sqft favorite! 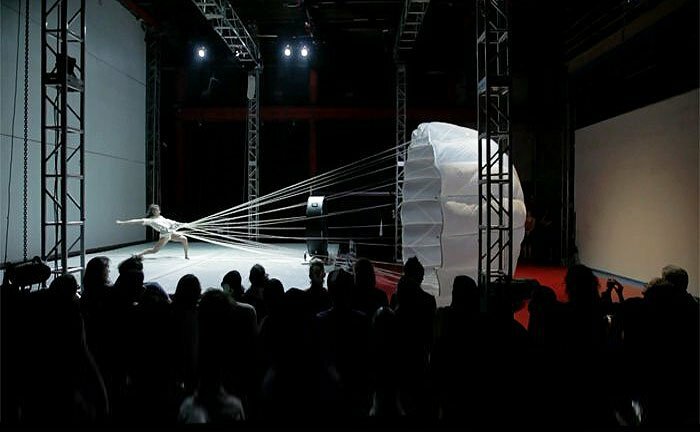 September 26, 12:00-8:00 p.m., September 27, 12:00-6:00 p.m.
DUMBO’s Smack Mellon Gallery and artist residency will open its doors this weekend for a glimpse inside their resident artists’ private studios. Meet Nadia Awad, Zachary Fabri, Donna Huanca, Nyeema Morgan, Lori Nix, Chat Travieso and Work Exchange Artist: Tyler Henry, while checking out their work and work space. 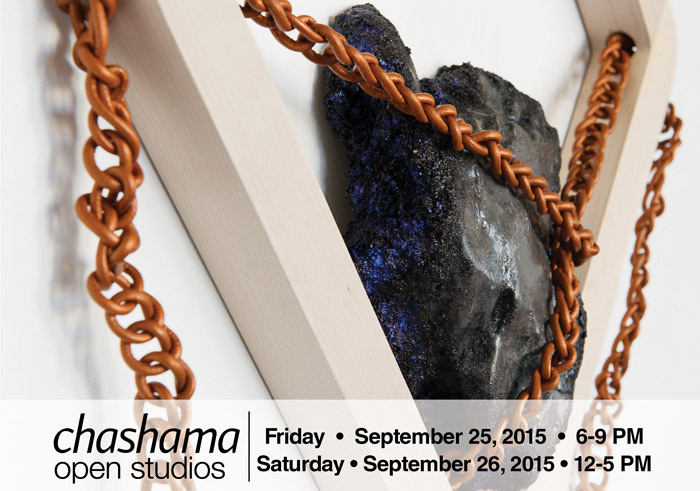 Saturday, September 26th and 27th, 12:00-5:00 p.m.
Another ferry, another open studios session. LMCC’s residency on Governors Island makes for a perfect opportunity to not only check out art, but also the uninterrupted fall foliage. Be sure to catch the last weekend of the exhibition “(Counter) Public Art, Intervention & Performance in Lower Manhattan from 1978-1993,” featuring works by artists including Agnes Denes, Eiko & Koma, Guerrilla Girls, Keith Haring, Jenny Holzer and more. Sunday, September 27, 4:45-5:15 p.m. 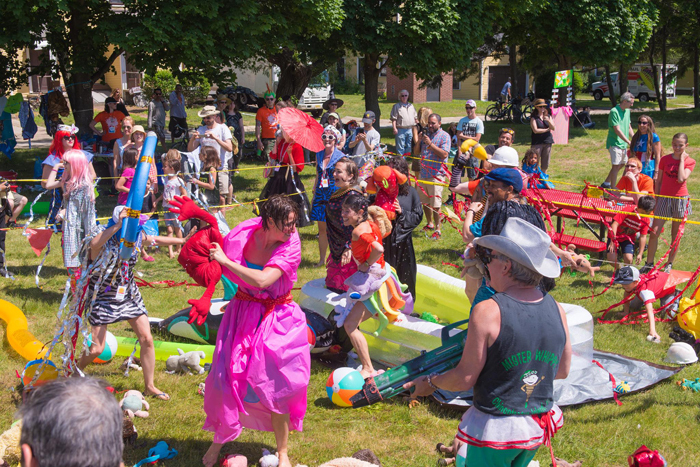 Taking place during the inspiring World Maker Faire, Koren will talk about the influence of wealth and co-creating your own reality, and how to make it happen whether you’ve got coins or not. 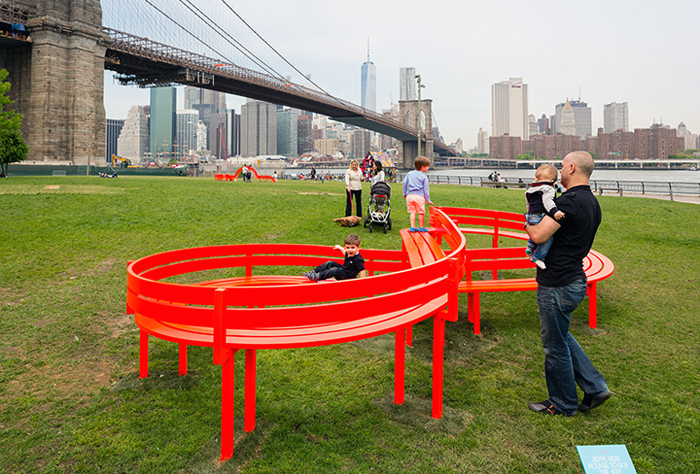 Tuesday, September 29, 6:30-8:00 p.m.
Coinciding with Jeppe Hein’s interactive installation “Please Touch the Art” that has enlivened Brooklyn Bridge Park all summer, the Public Art Fund is presenting a talk with the artist about art in the private and public realms.